Another bird which is a "one-off" amongst its close relatives, certainly in plumage terms, the plumage providing good camouflage in its preferred habitat.. 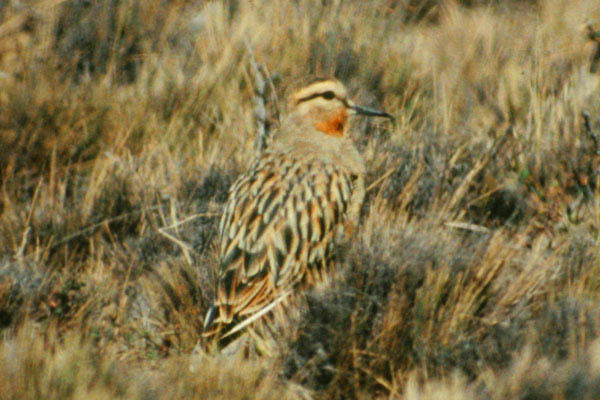 Widely but somewhat thinly distributed across Patagonia north to Peru, it breeds on poor and semi-arid grasslands from the Andes to the coast, high altitude birds moving down to form winter feeding flocks. Numbers are falling in some areas due to hunting.